Protected harbor views over the beach/harbor access at the end of Henry Street and the un-buildable yard area at 45 Hulbert. This very special Hulbert Avenue summer home has 2824 sf of living space on an over sized lot. 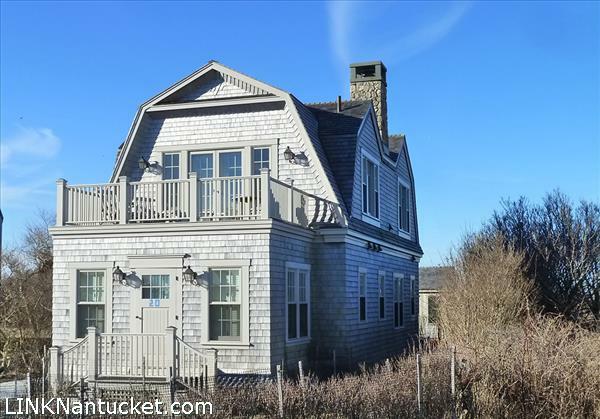 The full length covered porch on the harbor side of the home takes full advantage of the channel views and the harbor entrance. There is a 2 car garage and a large above ground basement area. The house is raised up high above the street. There is ample potential for expansion as well as the potential to subdivide. Designed by BPC Architecture, this property truly embraces the spirit of the summer. The main house has three finished levels of living space, outfitted with five bedrooms and five+ bathrooms. The cabana is the perfect setting for endless lazy afternoons or additional entertaining space for summer fêtes while dining al fresco around the 16’x32′ pool. Highlights of the property include multiple porches and patios, a fire pit and the potential for excellent summer rental income. 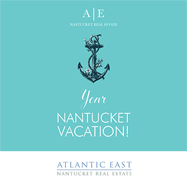 While the 2019 season is tenant-free, ensuring immediate summer enjoyment for the new owners, the property has rented for $25,000 per week in previous seasons. 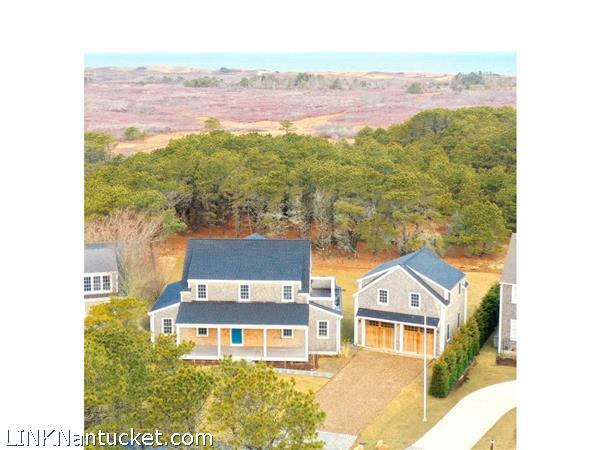 Located in a private setting on nearly a 1/3 of an acre, this newly built Fisher’s Landing property offers a main house and a garage and is one of the best values on the market today. The property is located on a quiet side street abutting 37 acres of open land belonging to the Fisher’s Landing Association which abuts 59 acres of the Linda Loring Nature foundation property. Walking trails over Land Bank land meander to Eel Point Road which leads to one of Dionis’s most beautiful beaches in approximately 15 scenic minutes. The three bedroom upside-down style house and two car garage with bonus unfinished studio space offers over 2600 sq ft of custom finished living space Available shared amenities include boat storage, tennis courts, mail service. 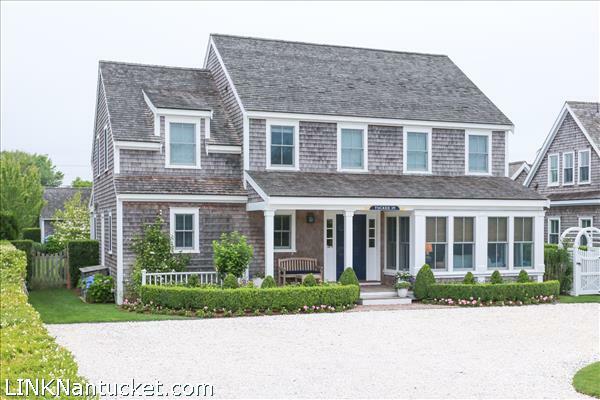 Fishers Landing is located approximately 4 miles from downtown Nantucket, and approximately 2 miles from Millie’s Restaurant and Madaket Beach. The bike path and shuttle stop are located at the intersection of Madaket Road. 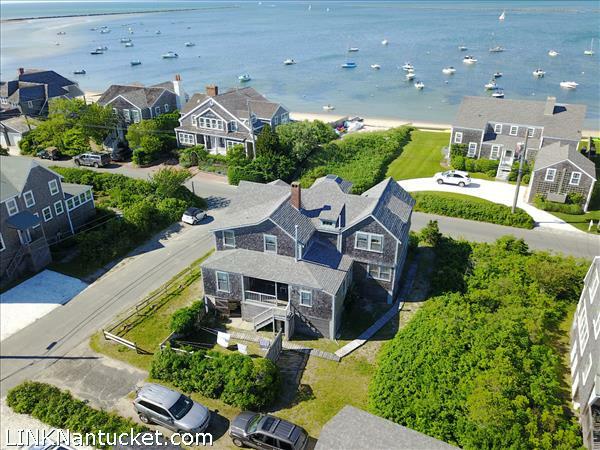 This amazing property is ideal for a family vacation house or a great rental investment – biking, boating, gorgeous beaches and stunning sunsets are among the many offerings!